The opening exhibit introduced visitors to the 2003-2004 programs. Reaching around the world and traveling in time to the past, the present, and the future, dramatic and informative exhibits illustrate women at work in a variety of settings and demonstrate how skills in math, science, engineering and technology expand career options. Modeled on the Woman at Work Exhibit, developed in 1996 by Katherine Honey, the Museum is supported by representatives of more than 50 organizations that assisted the Exhibit as it traveled around the country. The purpose of the Museum is to honor the achievements of women and their contributions to the communities in which they lived and worked, expecially in areas of math, science, engineering and technology. Photographs represent women at work together as intelligent decision-makers using math, science, engineering and technology (MSET) in the workplace. Photographs highlight how skills in MSET expand career opportunities in all fields of endeavor. This exhibit featured memorabilia, oral histories, living histories and photographs. The exhibit illustrated the honorable service of women in supportive roles and active duty in the military. Developed in conjunction with women veterans and veteran organizations. The “Women Doing Physics” display was created for the Centennial of the American Physical Society (APS) in 1999. In an effort led by Beverly Berger, then Chair of the APS’s Committee on the Status of Women in Physics, a collection of photos, both historical and modern, was assembled depicting women physicists actively pursuing their craft. The historical photos were selected from the collection of the American Institute of Physics’ Emilio Segrè Archives. The modern photos were snapshots contributed by readers and friends of the Committee on the Status of Women in Physics. An exhibition of photographs by award-winning journalist P. Sainath. These photographs from ten states across India — chiefly Andhra Pradesh, Madhya Pradesh, Orissa, Jharkand, and Tamil Nadu from 1993 to 2001. 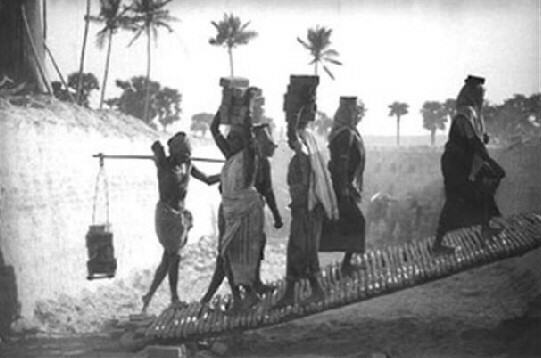 The exhibit, (accompanied by a narrative) focus on the labor performed by poor women under back-breaking conditions in the paddy fields, brick kilns, quarries and forests. Their labor is worth billions of dollars each year, yet, conventional economists fail to acknowledge and capture their contributions. The exhibit is sponsored by the women in the photographs who gave freely of their time and labor and is hosted by the Association for India's Development - Boston Chapter. This exhibit has been viewed internationally by over 350,000 people. View the Photo Slideshow of this exhibit. In 1850, women and men from across the country gathered in Worcester, Massachusetts to consider the rights of women. The exhibit illustrates the role women from Massachusetts and Rhode Island played in organizing this important event. Created by Carolyn Howe. Sponsored by the Worcester Women’s History Project. This exhibit featured 125 photographs of influential and powerful women in Massachusetts today. Presented by the Women's Union.